The Alexa Gadgets Toolkit beta launched in September. This release allows developers to design their own Alexa gadgets and accessories. 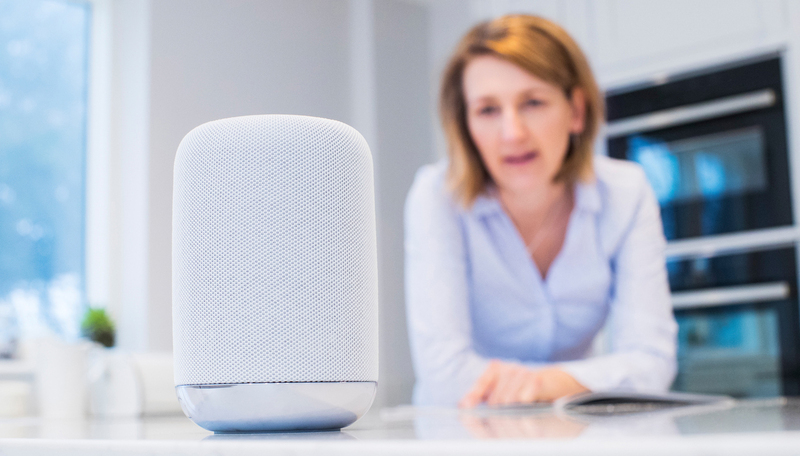 Manufacturers outside of Amazon can now build devices that interact with Amazon Echo speakers and be able to pair, connect, and update software. These new Alexa gadgets won’t always feature Alexa directly, but they will be able to pair with Amazon’s Alexa devices. Amazon is launching plenty of new Alexa gadgets, though, so you can turn your household into a truly smart home. Many people have jumped on board with smart plugs. These electric plugs are Alexa-enabled so that on command, Alexa can turn electronics on and off or dim the lights. Amazon’s Smart Plug will be released October 11th and is available for $25. It works with Alexa so that you can have voice control on any outlet. You can schedule lights, fans, appliances, etc. to turn on and off, and you can even control them with your smartphone remotely through the Alexa app. Amazon will release their Alexa-enabled microwave in November for $60. They will be wi-fi connected and respond to voice commands. You’ll even be able to reorder pantry staples, like popcorn, from Amazon by simply telling your microwave to do so. To use the Amazon microwave, though, you will need an Alexa speaker nearby for it to work. The interface will also feature an “Ask Alexa” button on the control panel that will allow you to tell it what you want to cook or how long you want to cook something without having to say Alexa beforehand. In order to compete with Sonos, Amazon is launching a suite of new speakers. Their subwoofer, Echo Sub, is $130 and can be connected to multiple speakers throughout the house. There will be two other Alexa speakers called the Link and Link Amp debuting later this year. Amazon’s Cloud Cam is a security camera that is Alex-enabled. It allows you to stay connected 24 hours a day, 7 days a week in 1080p full HD. Using the Cloud Cam smartphone app, you can get notifications of any unusual activity and check in on your home remotely at any time. It even features night vision to let you see what happens once the lights are off. The Cloud Cam also has two-way audio so you can talk to your family or pets while you’re away.